Midyear bike. 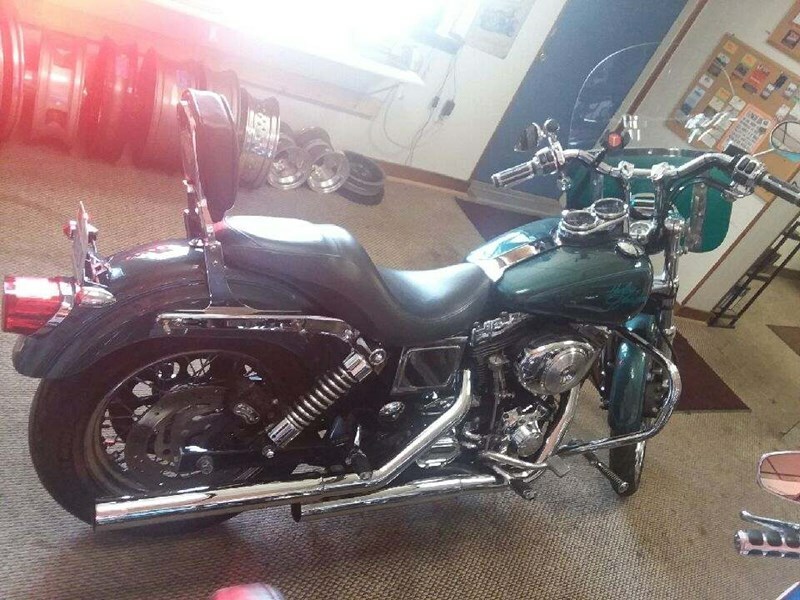 1" SuperBar Handle Bars, 3'5" Chrome Pullback Risers, Vance&Hines slip-on StraightShot Mufflers, Memphis Shades clear and teal Windsheild, Phone Mount for Accessories, Progressive Shocks 11.5", Battery Tender and much more. All maintence records. Color Teal. On display at ASX Motorcycles in Mosely VA Great Bike Great Price!